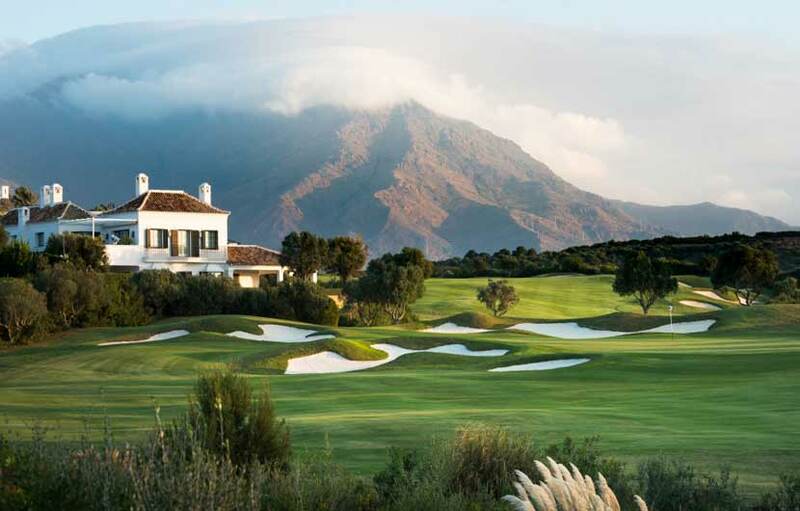 Enjoy amazing Finca Cortesin golf holidays at one of the best resorts in Spain which offers a unique Spa, fabulous villas, sports club and one of the best hotels in Europe. The luxury 5 star Finca Cortesin Hotel offers luxury accommodation and an amazing 5 star service awaits guests staying at this stunning hotel located within the Finca Cortesin Resort. An impressive golf course on the Costa del Sol located very near to the Mediterranean sea, just 30 minutes drive from Marbella this golf resort has become one of the best quality and notable courses in the short time since opening. 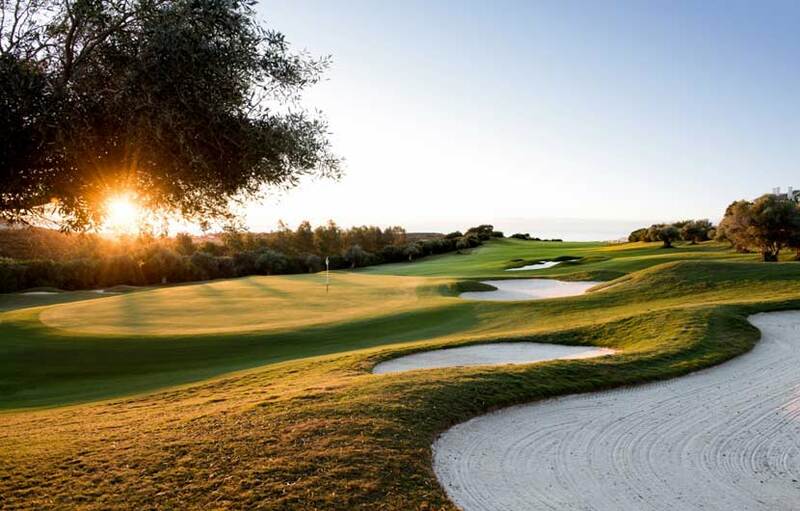 The best players in the PGA have participated here in the Volvo World Matchplay tournament which made Finca Cortesin one of the most recognisable names on the Costa del Sol and one of the must play courses during any golf holiday to Spain. 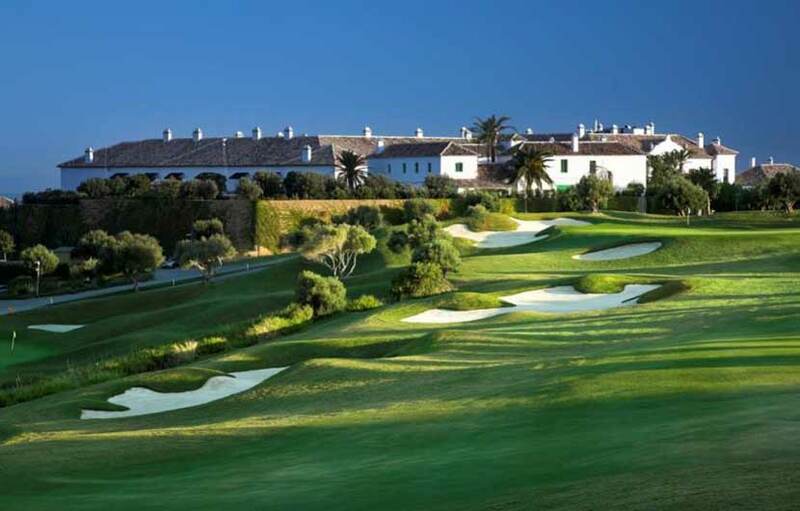 Finca Cortesin offers a true 18 hole championship golf course, around 6800 meters in length from the yellow tees it has over 100 bunkers. It is considered one of the longest courses in Europe from the black pro tees at around 7.000 metres. It was designed by Cabell Robinson, course designer, and Herald Huggan, landscaper of international fame,. Both have managed to maintain the natural character of the area and found a perfect balance between the local plants of the Mediterranean forest and the well manicured fairways and greens. The course has several tee boxes on each hole, which allows the green keepers to balance the toughness of the course each day. It can be a fun golf course for amateurs and a super challenge for professional players playing from the black tees. When you finish playing the 18 holes, you will have probably used all your clubs. Cabell Robinson has done a great job of balancing the different holes; there is an even variety between very tough and then compensated with more affordable ones. Finca Cortesin will not leave any player indifferent, you can enjoy the game here in its entirety and it will test your skills on every level leaving you overwhelmingly satisfied. The course maintenance standards are second to none with some of the best green keepers on the coast offering the best possible greens, fairways and bunkers all year round. The service at the resort is first class from the greeting on arrival to the moment you leave. Course staff will happily prepare your buggy while you book in at the Pro Shop and change. Complimentary Titleist balls are available at the driving range as well as a refreshment buggy ready to offer you fresh fruit and cold water during your round.